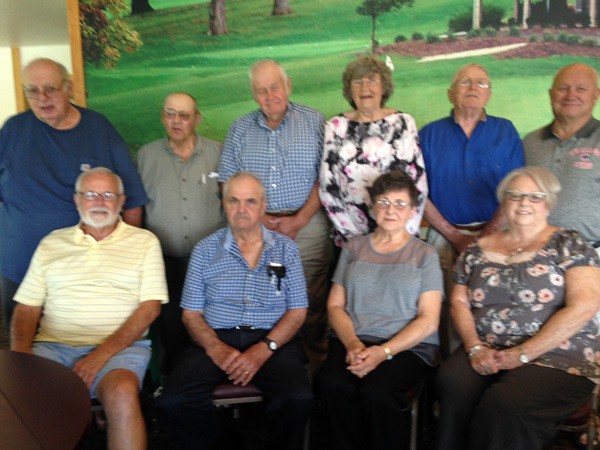 The MDR Class of 1958 held their 60th class reunion on September 4th at the El Paso Golf Club. Ten classmates attended. From left to right: Back row - Paul Janssen, Wally Moritz, Alvin Knack, Darlene (Cirks) Reese, Barry Bennington and Dan O'Neil. Front row - Fred Rutherford, George Hillenburg, Carolyn (Durre) Blobaum and Erma (Marshall) Manley.